Home / 3D Printing / Technology / 3D Printing, it’s real and within reach! 3D Printing, it’s real and within reach! 3D printing is one of the most happening technologies around us. With the help of 3D printers the industrial manufacturing will shift from the giant warehouse to homes. The technology can be used to make a small stuff of house to the big buildings; with current growth 3D printing will be changing the game drastically. For all those people who are new to technology, we have tried to explain the technology in this post. 3D printing or additive manufacturing is a process of making three dimensional solid objects from a digital file. The creation of a 3D printed object is achieved using additive processes. In an additive process an object is created by laying down successive layers of material until the entire object is created. Each of these layers can be seen as a thinly sliced horizontal cross-section of the eventual object. It all starts with making a virtual design of the object you want to create. This virtual design is made in a CAD (Computer Aided Design) file using a 3D modeling program (for the creation of a totally new object) or with the use of a 3D scanner (to copy an existing object). 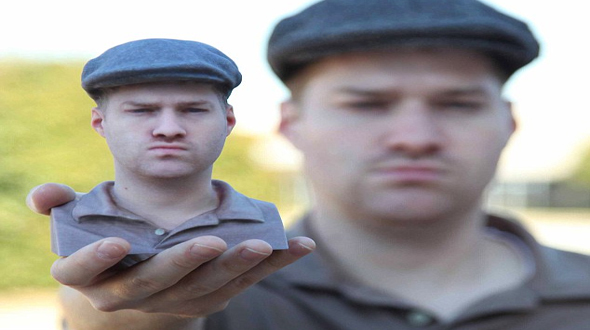 A 3D scanner makes a 3D digital copy of an object. 3D scanners use different technologies to generate a 3D model such as time-of-flight, structured / modulated light, volumetric scanning and many more. Recently, many IT companies like Microsoft and Google enabled their hardware to perform 3D scanning, a great example is Microsoft’s Kinect. This is a clear sign that future hand-held devices like smartphones will have integrated 3D scanners. Digitizing real objects into 3D models will become as easy as taking a picture. Prices of 3D scanners range from very expensive professional industrial devices to 30 USD DIY devices anyone can make at home. With 3D printers, you can create complex objects with intricate moving bits. Designers and engineers have created working electric car models in just 44 hours. Of course, they used an industrial-sized printer, but the fact remains that this technology could bring manufacturing closer to home and decrease the massive amount of investment that goes into bringing the product from factory to shop. The 3D printing is exceptionally economical as it can create complex parts for machines, cars and even airplanes at a fraction of the cost of conventional processes. The printers can be scaled down and up easily depending on the requirement. The printers are also capable of creating electronic circuitry so it might only be a matter of time before you can get OTA updates for a new phone altogether. How 3D printing will help? 3D printing will be a big change as it will reduce the time of manufacturing; will help to be cost effective and can be implemented on different scale from home to industry. It will help people to print their requirements in house and get the material as they want, they can even print the complex architectures like electronic circuit and many more things like that. Hope you have enjoyed reading about the new technology. Please share your views and points on the technology.